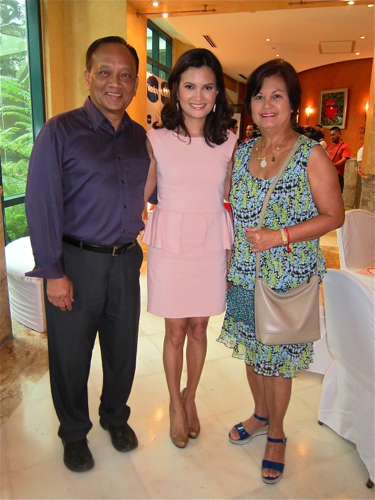 On a beautiful afternoon today, May 15, 2012, Vaseline launched their latest product, Perfect 10, to the press, and also took the opportunity to introduce and present Perfect 10’s brand ambassadress, TV host, wife, and mom to 3 beautiful girls, Daphne Oseña Paez. Yes, skin can actually achieve that glow, that radiance when it is in its healthiest condition. And Vaseline Healthy White Perfect is clinically proven to give visibly radiant, naturally lighter skin in as early as 2 weeks. Its active whitening system contains AHA, Vitamin B3 and Pro-retinol. The best thing about the Vaseline products– Vaseline not only has the Healthy White Perfect 10 whitening and anti- aging lotion, they also have the Healthy White SPF24 triple lightening lotion which will protect your skin against the harmful effects of the sun! 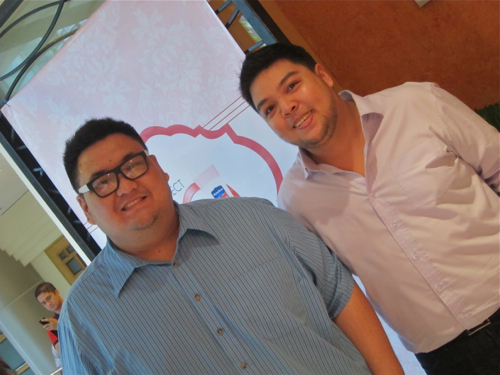 The afternoon launch had its surprises– together with Patrick Paez, 3 other husbands of ladies from members of the lifestyle press were surprised as they went on- cam to say a few words about their wives. Such a surprise left the women teary- eyed! 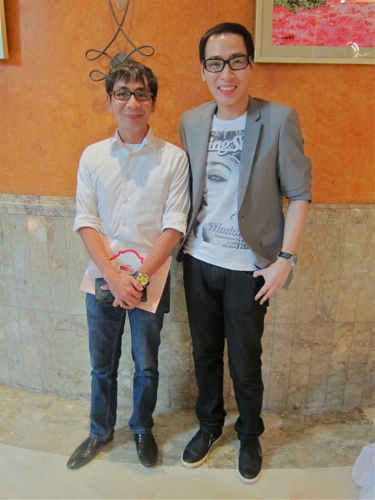 Captured, Daphne was so touched! 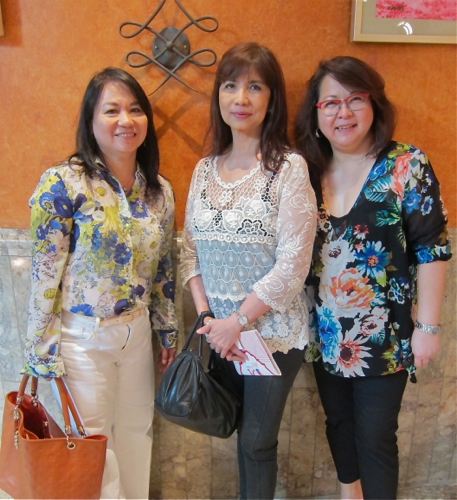 Guests were likewise treated to a wonderful afternoon buffet of pasta, macarons, sandwiches, and scones from Chef Jessie at the Rockwell Club. 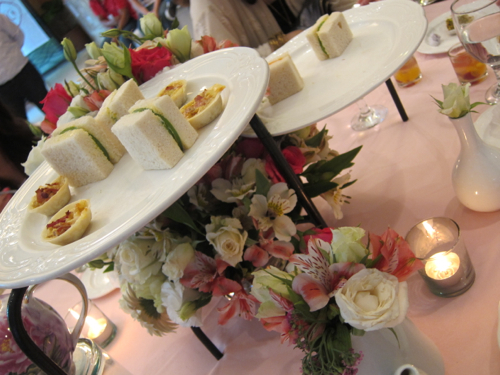 Beautiful flowers, sandwiches, scones, macarons, light pasta and tea are perfect for an afternoon treat! 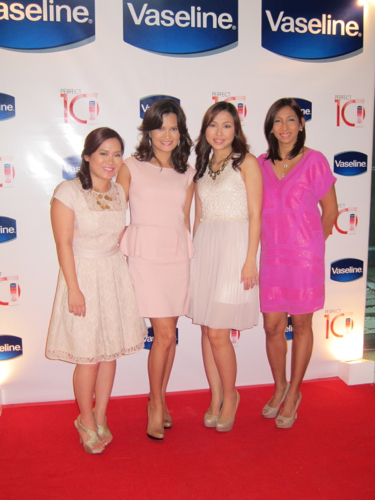 See who else attended the press launch of Vaseline Healthy White Perfect 10! Thank you so much, @SocialDiaryMNL!!! Their decision to have you as their brand ambassador is pure genius. It is a well- deserved appointment! Congratulations! !